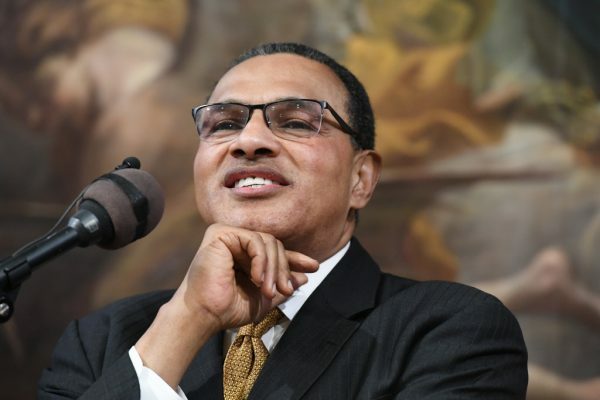 On April 12, 2018, the Central Maryland Ecumenical Council, St. Mary’s Seminary & University, and St. Mary’s Ecumenical Institute co-hosted Dr. Freeman Hrabowski for the 2018 Carroll lecture. This year’s lecture focused on where we are 50 years after Dr. King’s assassination. Dr. Hrabowski reflected on his participation in the 1963 Birmingham Children’s Crusade, and the impact of his childhood experiences on his philosophy of education. The audience was challenged by Dr. Hrabowski’s provocative question “What is our society doing for the least of us?” He also reminded us to hope, as Dr. King did, that we can learn to trust one another. In an era where language is often divisive, Dr. Hrabowski’s words stand as a prophetic call to embrace speech that unites by remembering our common humanity and our vocation to the office of citizen. 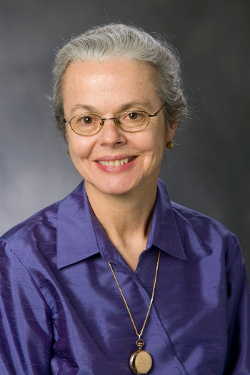 Noted Old Testament scholar Dr. Ellen Davis will lecture at St. Mary’s Ecumenical Institute on Friday, October 7, at 7 p.m. Her topic is “Envisioning Wholeness: Connecting Scripture and Health in Africa and Baltimore,” with co-respondents Rev. Darriel Harris and Dr. Dan Hale. The lecture marks the return of CONNECT: Faith, Health & Medicine, the Ecumenical Institute’s graduate certificate in faith and health running throughout the 2016-17 academic year. Ecumenical Institute Dean Dr. Brent Laytham selected Dr. Davis for the lecture because of her superb work interpreting Scripture from the perspective of wholeness. That work includes her scholarly tour de force, Scripture, Culture, and Agriculture: An Agrarian Reading of the Bible (Cambridge, 2009). It also includes her dozen years working in South Sudan to develop theological education, community health, and sustainable agriculture. In an editorial, Davis wrote, “As we have seen in South Sudan, whenever the church engages in health care practices with a scripturally informed imagination, lives are transformed.” In that same piece, Davis recounted how the Rev. Darriel Harris worked for more than a year in South Sudan developing and implementing a Bible-based curriculum called Community Health Education Program. Now based in Baltimore at Johns Hopkins’ Center for a Livable Future, Rev. 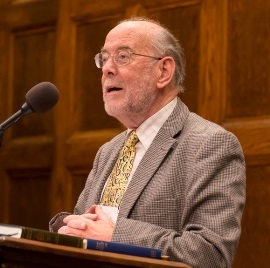 Harris will respond to Davis’ lecture by recounting some of the challenges involved in connecting Scripture and health in Africa. Then Dr. Dan Hale, founder and Director of the Healthy Community Partnership run by Johns Hopkins Bayview, will reflect on ways that those same challenges take shape in Baltimore. The conclusion of the presentation will include thirty minutes for questions and answers with the presenters. The lecture is free and open to the public. St. Bede’s Books will be on hand to retail Dr. Davis’ books, including the brand new text Preaching the Luminous Word. Call 410-864-4202 for further information. Contact Patty Rath (410-864-4203) to register for the class. St. Mary’s Laubacher Hall was close to full on November 20, when Dr. James D. G. Dunn delivered the Ecumenical Institute’s annual Dunning Lecture to over 250 eager listeners. The lecture, “Jesus as Remembered by John,” was followed by a lively period of Q&A and discussion. Hearts and Minds Books of Dallastown, PA sold copies of his many books, and Dunn graciously signed for all who cued up.